In 2018, for the first time BBAB proudly presents a new edition with two shows "BBAB Finished Products" and "BBAB Supply Chain”. 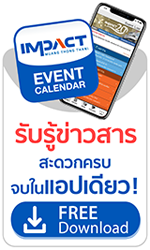 Bringing together a total of 850 exhibitors from China, Finland, France, Germany, Indonesia, Japan, Korea, Poland, Singapore, Taiwan and Thailand, BBAB will be showcasing the very best and the latest, from 20 to 22 September,2018 in Hall 5 to 8 at IMPACT Exhibition & Convention Center, Bangkok, Thailand. “This fifth edition of BBAB will gather the beauty industry’s leading players from across the world, to fulfill their trade, networking, sourcing and knowledge exchange needs. This event has positioned Thailand as an important hub for ASEAN’s beauty and cosmetics industry and serve as the gateway for international companies to tap into the lucrative beauty market of ASEAN. BBAB 2018 is expected to attract over 18,000 trade visitors and buyers globally, with over 1,800 matched one-to-one meetings scheduled between our exhibitors and key buyers,” said Mr. Loy Joon How, General Manager, IMPACT Exhibition Management Co., Ltd. This year during BBAB, we are honoured to be celebrating the 60th anniversary of diplomatic relations between Korea and Thailand. The Korean ambassador to Thailand, Thai Board of Investment, president of Thai Cosmetic Manufacturers Association and Korea cosmetics association will attend the “Walk together, work together” celebration on September 20. We are celebrating Korea as the “Country of Honour”, with nearly 150 exhibiting companies, supported by the Korea Trade-Investment Promotion Agency (KOTRA). This is a major achievement for BBAB. Buyers and visitors will have the chance to discover the latest K-beauty trends at “All about K-beauty conference” as well as the “Korean Beauty Influencer Demonstration”. BBAB has continued to invest in Southeast Asia with the “VIP Buyer Programme”. A group of more than 200 buyers from Vietnam, the Philippines, Indonesia, Thailand, Myanmar, Singapore and Malaysia are visiting BBAB for product sourcing. At least 1,800 meetings are expected to be achieved. Once again, this is the first time that we have launched an educational program on the “Cosmetic trends in emerging Asian markets: China, Thailand and Indonesia”. BBAB is now bringing a wider perspective across the whole of Asia. In collaboration with Thai Cosmetic Manufacturer Association (TCMA), Thai beauty culture will be highlighted through “Beauty Made in Thailand”. Using an integrated approach, beauty and cosmetics brands; beauty medical devices; food supplements; natural and organic products will be incorporated in the “Beauty Made in Thailand” project. 120 international buyers from Asia will be invited to visit the pavilion to discover and experience the Thai brands. Visitors will experience a wide range of conferences and activities in BBAB2018. The “Hair technician workshop” and “Salon management workshop” are two new events this year aiming to serve hairdressers and salon owners. In “BBAB Supply Chain”, “OEM workshop” and “new packaging technology conference” have been prepared for all brands and manufacturers. In addition to these exciting new developments, the 2nd ASEAN Retail Conference, the 4th BBAB Trend Conference and the 2nd Semi-permanent Makeup Competition will continue to offer visitors both knowledge and a unique experience. Mr. Tanawat Ruangteprat, Executive Director, Director of Thailand Institute of Fashion Research (inFASH), said: "Thailand Institute of Fashion Research or inFASH is under the supervision of Rajamangala University of Technology Krungthep. This is our first collaboration with Beyond Beauty ASEAN-Bangkok to organize the Beyond Beauty Trends Conference which is aimed at providing knowledge on colors and material trends in the future. inFASH is part of INTERCOLOUR. Our job is to forecast trends, colors, materials and trendy designs in the future prior 24-month and this is the inspiration for the design in many industries such as textiles, cosmetics and fashion, home furnishings, automotive supplies, the rail industry, furniture, electronics, electronic products and so on." “Finished Product” and “Supply Chain” in Beyond Beauty ASEAN Bangkok 2018, these two segments, with separate entrances and separate targeted visitor promotion, aim to better serve the exhibitors by attracting the relevant buyers for each segment.